January 26th in Viral, Wordpress Plugins by Wordpress Jedi . The Elementor page builder should not need any introduction. It lets you create sophisticated layouts via drag & drop. There are already plenty of Elementor extensions that let webmasters do more with it. The Premium Charts plugin for Elementor allows you to create amazing charts on your site. Premium Charts comes with 7 chart types and plenty of customization options. You can use it to make pie, doughnut, polar area, line, vertical bar, horizontal bar, and radar charts. 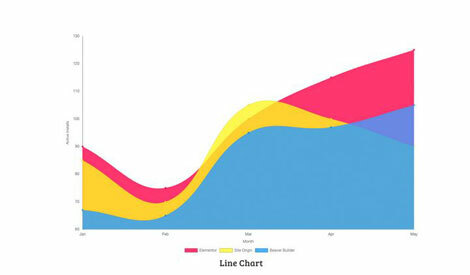 You can customize the charts to present your data properly, in a way that matches your site’s color scheme. Leap13 is the developer behind this commercial plugin. You can find it here.